gravel king sk 38c tires blowing off 25 mm internal rim at 55 psi?? it's my first time going tube less. I got the tire to seat without a compressor first time, but instead of going for a ride, I let the wheels sit there, and they lost air over a couple of days. today, I as I pumped it up again to go for a ride, the rear tire blew off at 60 psi. I was going for a higher pressure to get the sealants to seal the hissing that I was hearing, likely from the valve stem. I went to the bike shop, and they told me it's usually the rim tape that gives people problems. the tape i was using was slighter thinner than stans and narrower than ideal, but I did two layers, one hugging each side, and the mechanic said I did a good job. and we can't come up with a good explanation for how the tire can just blow off at 60 psi, when the max rated pressure on the gravelkings are 75..
the bike shop did help me put more sealant in there. we sealed it with a compressor, and I went for a ride to slosh the sealant around some more. It held air just fine at ~50 psi, which is what I rode at on the road. however, when I got home, I hooked it up to a floor pump to see if it held air, and wanted to see if it'll hold 55 psi over night. as soon as I got to 55, boom. another blow out, same region, other side from the valve stem, this time on the other side of the beads than the first time..
the rim I'm using is mercury g3 xc. 25mm internal 30 mm external, 24 mm deep. tubeless compatible. I can't wrap my brain around why it's not holding even 55-60 psi. 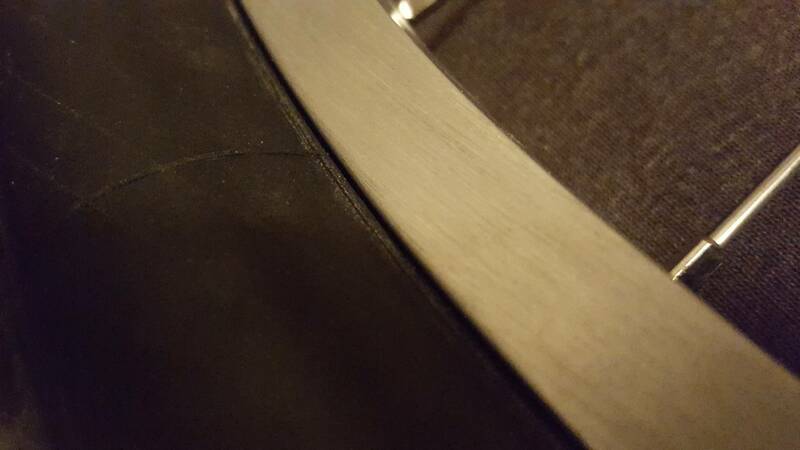 faulty tire, faulty rim, bad rim tape job, any ideas? Is the tire seating evenly around the rim? The "lip" of the tire, the shelf above the bead, should be visible around the whole rim, and should sit evenly above the top of the brake track everywhere. If parts of the "lip" are dipping below the top of the brake track, or if the lip is at uneven height around the rim, it could indicate that the bead is either not making it onto the bead seat, or that the bead seat is too low and the tire isn't snug on it. There are "tubed" and "tubeless" versions of the Gravel King SK. Are you sure you have the Tubeless version? I see that those are hookless rims. If you have blowoff problems, you may need to add another layer of rim tape. This post probably won't help but I can commiserate. It is very frustrating and somewhat frightening to have tires blow off. I had a similar issue with Schwalbe G-One Allaround blowing off American Classic RACE 29 wheels which I believe was UST vs BST compatibility. Schwalbe G-One Allaround blowing off the rim. Why? Alternative? Ironically, I switched to Panaracer Gravelking SK and they worked fine on the American Classic wheels. The Mercury XC G3 rims are hookless so I doubt your problem is the same as mine. For what its worth, I mounted 38 mm and 43 mm Gravelking SK tires onto ProWheelBuilder Terra i22 hookless carbon rims two days ago. They held up to 75 PSI when mounting with the compressor and have been sitting at 50 PSI since. Just like it can with the old unhooked metal rims -- it increases the outer diameter of the bead seat. Tires blow off when part of the bead can migrate inward, which allows the bead on the other end to migrate outward, until it eventually breaks free. When you increase the circumference of the bead seat, the tire bead is less able to migrate inward, so the bead has nowhere to go. Last edited by ThermionicScott; 03-22-19 at 01:49 PM. I read that Boyd wheels recommends hookless for larger volume low pressure tires, >30mm, <60psi, and hooked rims for lower volume higher pressure. The different road standards in my opinion have too much variation to "cross standards". You can pretty use any MTB tire with any rim and be pretty confident at any reasonable pressure. The only way that I would use any tubeless over 45 PSI would be if I used a single "system" like Mavic's UST, WTB's TCS, or any other system where the rim is matched to the tire by the manufacturer. In the unlikely event that the industry decides on a single set of bead shapes dimensions, I will try road tubeless. In the meantime, every manufacturer is trying to differentiate themselves by creating a little bit different shape, diameter, or tolerance in order to solve a problem that nobody has. Unless the manufacturers cooperate, they won't solve the problem of tires blowing off rims because the different standards don't work well with each other. Either the person on the phone doesn't know their products or they need to update their product literature which shows hookless rims. If these are hooked rims then this could be a BSD vs UST compatibility issue. Some manufacturers try to fudge their products so that their rims and tires work with both standards and just a slight difference can cause fitment issues. I would try the extra rim tape suggested first. I checked the rim. there's definitely a hook. how will extra rim tape help, if the tire is already seating as it should, and the blow off came when the tire was completely stationary without any load on it? my understanding is the extra tape helps the bead stay in place when it gets bumped off during riding, right? bike shop says the tire and rims are both fine. i made a mistake and gravel king tubeless max psi is actually 60 psi, 75 is with tube inside. still, it shouldn't fail at 55 psi. but i have a theory why it failed. I did kind of a poor job taping the rim, which caused the wheels to go flat over the course of 1-2 days. During deflation, I would notice a hissing noise where the bead would lift from the rim, and blow out bubbles of sealant. this in turn caused the bead to be coated in rubber sealant. I asked the bike shop if it would be a problem, they said no... I think we should've cleaned the tire bead of sealant before putting it back on the wheel... so when the tire was seated again, with the sealant in between, there was a lot more elasticity between the tire and the rim, allowing the tire to slide off. so I suppose key lesson here would be to make sure the tire beads are relatively clean before remounting the tire. for those who's worked with tubeless, does this fit a previous experience? nah the tires did it again after i cleaned the bead. i think it's a bad tire. I'd check with Panaracer Corp. customer service. Given that you said "its my first time tubeless" I'm supposing that the tire was pretty new. The fact that the rim is fine, the tape job (according to your LBS) was fine, and the tire was new, there's no way that this thing should have popped off a hooked rim (IMHO). Id ask for a warranty replacement. Fifty bucks is fifty bucks. Last edited by WizardOfBoz; 03-26-19 at 08:38 PM. I just seated a Gravelking SK 43 with 75 PSI and had no problem. If it is blowing off the rim at 55 PSI then something is wrong with the tire or the tire and rim are incompatible. Sorry to be a downer but I'll bet a Grande Latte that the warranty replacement also blows off the rim. I hope the OP proves me wrong. Right off I'd guess 25mm internal is getting a bit wide for 38mm tires. You may have a point there. I installed a set of new Mavic Ksyrium Elite UST wheel/tire combo with 25mm tires on a friends bike yesterday. Up until then the narrowest tire I have set up tubless was 32mm wide and I have a compressor which makes that easy. On a wim, I tried to set these up using a standard floor pump and was amazed when it worked. They sealed up first try and I took them up to about 85 psi. I talked to him today and he said they are holding pressure with not leaks.